Over the last few years, a surgical industry worth billions of dollars has sprung up around operating on hips with impingement or a syndrome called FAI (FemoroAcetabular Impingement). In my Colorado office, I have a practice full of the walking wounded patients who fell for this song and dance and now have new problems created by the surgery. So it’s not surprising to see yet another study that shows again, that all of these orthopedic surgeries may be operating on an MRI phantom. The idea behind FAI is that either the ball or the socket of the hip has a bone spur or is misshapen and this causes labral tears and arthritis. The labrum is the lip of the ball and socket joint, and arthritis happens when the cartilage wears down, and the bone begins to deteriorate. The solution, say armies of orthopedic surgeons, is to reshape the hip joint, shave off the cartilage, and stitch up the labrum. The number of hip arthroscopy procedures performed by orthopedic surgeons in the USA increased 18-fold between 1999 and 2009. What’s bizarre about this explosion in hip surgery is that there is no high-level evidence that the procedure is effective when used to treat FAI. In fact, everything published to date is lower level research. Given the egg on the face of the orthopedic surgical community regarding the placebo known as knee meniscus surgery, it’s right to ask whether there is the same ticking time bomb hidden in arthroscopic hip surgery. Meaning, are billions of dollars a year and countless patient complications being wasted on surgeries that will eventually be determined to be nothing more than invasive placebos? Is FAI Itself a Mirage or Ghost? The diagnosis of FAI is made almost exclusively on MRI imaging. There is no single blood test or highly reliable physical exam finding that can rule in or out that a patient has the problem. Hence, for this diagnosis to be real, there must be a very clear demarcation line between those with abnormal MRI findings who have pain and those without those findings who have no pain. So does that clear line in the MRI sand exist? NO. As an example, one recent study showed that almost half of patients have findings of FAI on their MRIs and other things such as labral tears and have no hip pain or functional problems. 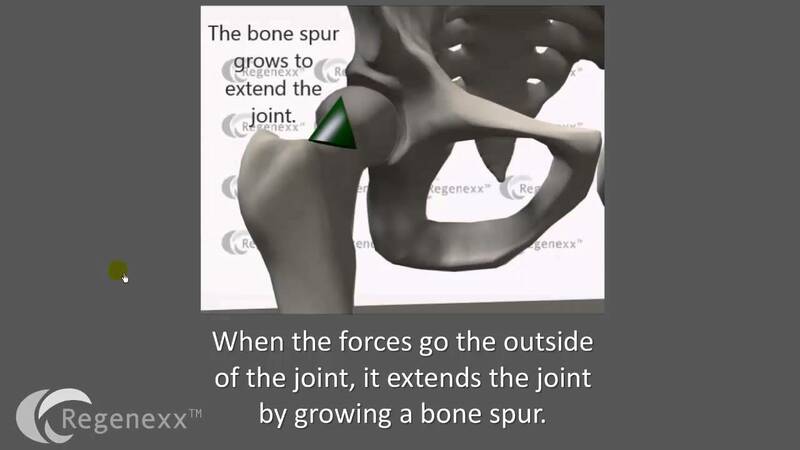 Another study showed that one of the types of bone spurs that orthopedic surgeons like to remove in hip arthroscopy surgeries was protecting the joint and preventing the formation of arthritis! So given these studies that cast doubt on the usefulness of MRI in hip pain diagnosis, let’s look at the new research. The new study looked at 63 normal patients with no pain or hip issues and 63 who had an MRI diagnosis of FAI and hip pain. A hole or damage in the cartilage and/or labral abnormality was present on average in 57% of asymptomatic volunteers, compared with 80% of symptomatic patients! So while patients with FAI were more likely to have cartilage and labral abnormalities, almost 6 in 10 patients without FAI or any hip pain had them as well! So there was no clear demarcation of MRI findings between pain-free and symptomatic patients! This study and the others cited, raise serious doubts about the wisdom of using MRI measurements as the reason to operate on sore hips. The upshot? These days, if you develop hip pain that won’t remit, you’re just an MRI and a cursory exam away from getting your entire hip anatomy remodeled by an orthopedic surgeon on the belief that this will help your hip pain. This is despite continued research that many of us without any hip pain have FAI, labral tears, or lost cartilage. What all of this research is saying is that despite our current penchant for operating on MRI findings, hip pain is a much more complicated thing and the MRI only tells part of the story. So if you’ve been told you need arthroscopic hip surgery, please get a second opinion from a provider who offers precise image-guided PRP and stem cell work, as these procedures can be very successful when the problem is caught early. Also, make sure that every exam of your hip also includes an extensive examination of your low back! The cost of a MRI is very hi, would a XRAY tell you enough? An Xray and an exam would tell us what we would need to know. However to establish Candidacy without the in person exam through the Candidacy process does require an MRI. Dr, you said the low back should be checked, but you didn't say for what. I am having spasms in both my legs that are becoming unbearable for me. Early this morning around 2 am, I am a night owl and we were preparing our camper trailer to go to Florida to spend time with our Son and Grandson. I was on my knees on the bed in our travel trailer trying to put on clean sheets and suddenly I felt something shift in my right knee and oh, the excruciating pain, and my knee locked and I couldn't move my leg, bend forward, get up, lie back or anything without screaming. I got to the edge of the bed with help from my husband but couldn't move from there except to slowly scoot back until my legs weren't dangling. I tried to sleep in this position because I was so tired. I dragged pillows and the quilt into my lap and kind of leaned my head on them to rest. My husband had climbed in beside me and had finally fallen asleep. I felt so bad for keeping him up all night. He woke up and said hon, you can't stay like that all night but I couldn't move. He helped me turn and lie on my left side, rubbed some bioFreeze on my leg and covered me up and I got some easing from the horrible pain. It was bearable so I slept some. This morning about 9 I had to pee so he helped me up and it was very painful, but it is only a few steps to the bathroom and as I walked I felt another shift behind my knee and the horrible pain left. It is very, very sore and has an achy feeling. Has put a dead stop in my preparing to travel. I have three dogs that I bathe myself in the tub and they need a bath badly, but I cannot kneel to do it. I have had this happen twice before. The first time sent me to the ER at Vanderbilt in Nashville, TN. I had stooped to clean the floor behind the commode at the Railroad Museum where we volunteer and the same thing happened to me. I was screaming in the restroom. My husband found me and he and another volunteer rolled me to the front door in an office chair, then my husband carried me to his truck and to the ER. X-ray showed nothing. Was sent home with crutches, pain killers and muscle relaxers. The next time I was sitting flat on the floor with my legs under the coffee table having lunch while I watched tv. I managed to drag my frozen leg out from under the table, crawled across to a chair that I pulled up onto and the shifting occurred that releases the grip. Very scary when I am alone. The ever present, it seems, spasms in my legs are getting really bad. They limit much of what I can do because just being on my feet on a shopping trip to the grocery or anything with a repetitive movement or work involved will bring them on. I think this is all related because of the fact that even though it may involve a calf or a shin or the front or the back of the thigh, or sometimes one or both entire legs there is always pain on the outside of my knee and down the outside of the calf and that muscle swells and hardens. What low back problem were you referring to? An MRI in the Spring showed that I have stenosis in my neck, my low back and one more area that they didn't specify exactly. I also have a bulging disk at 3/4 or 4/5. The neurosurgeon I went to had his nurse call and tell me and asked if I wanted to set up appointments for steroid shots in my back. 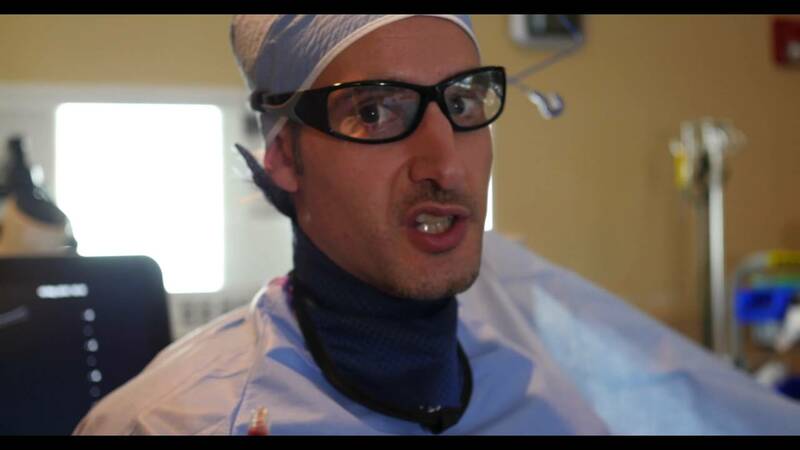 I kniw this us precursor for insurance for surgery, so I said no. Is all this related? Can you help me? Will insurance help me? I am 63 in good health except for these awful pains and Fibromyalgia that I manage in my own. My husband just retired Dec 1st, we got a travel trailer to do a little short distance traveling and we have a lot in a very small lake in East Tennessee in my hometown that when we sell our home here, we plan to build a small retirement home on. I don't want to be the reason our dreams can't work out. It is breaking my heart to think he will just have to take care of my crippled self and not be able to enjoy his life.